Here are some quick and brief highlights of cyber claims for businesses (non-healthcare, including accounting firms). 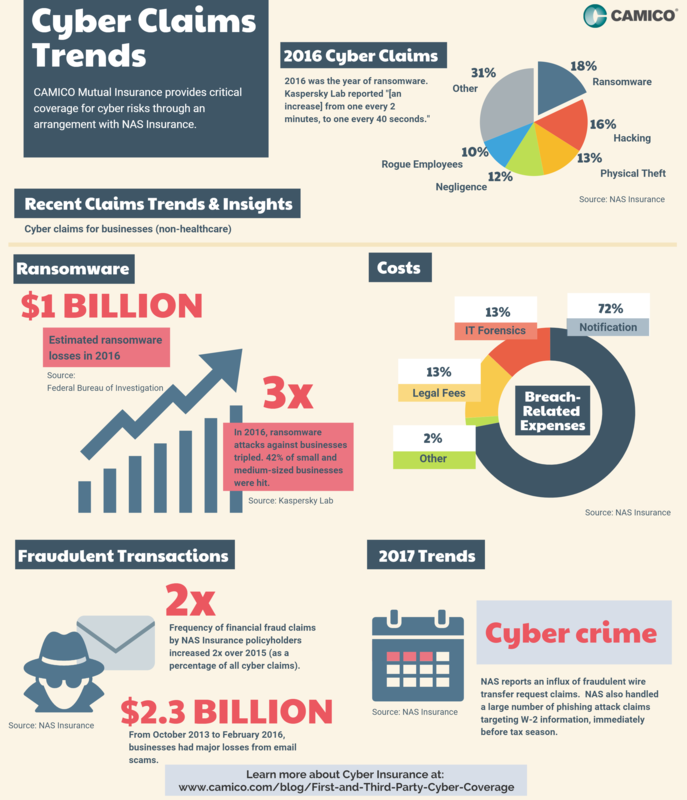 3x: In 2016, ransomware attacks against businesses tripled. 42% of small and medium-sized businesses were hit. Based on the previous year's data, the breach-related expenses breakdown into 3 main categorizes: notification, legal fees, and IT forensics. Notification is the cost to notify customers of a breach. Legal fees are on-going legal costs, fines, and penalties, etc. IT Forensics is the cost to investigate what kind of cyber attack occurred and what was potentially stolen or hacked. 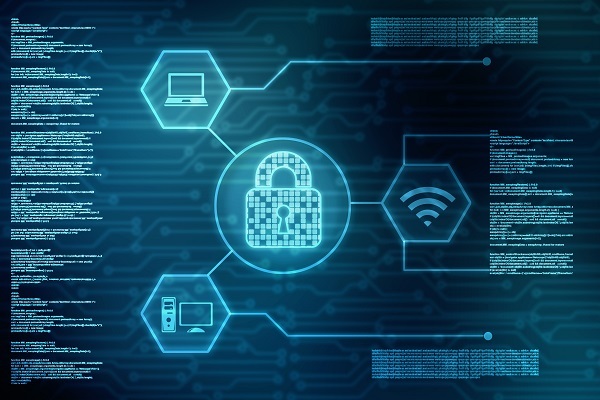 With the rise of ransomeware and fraud activities, IT forsenic costs will increase this year. 8x: Financial fraud claims by NAS Insurance policyholders increased 8x over 2015. $2.3 billion: from October 2013 to February 2016, businesses had major losses from email scams. NAS reports an influx of fraudulent wire transfer request claims. NAS also handled a large number of phishing attack claims targeting W-2 information, immediately before tax season. More accountants have become victims of phishing attacks during tax season. To learn more about how you can protect yourself through CAMICO’s Cyber Coverage click here .